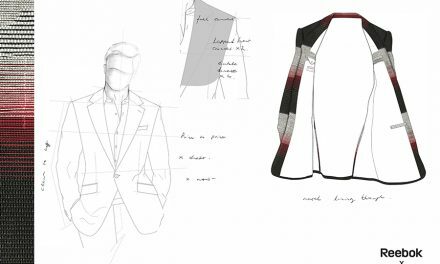 Autumn has arrived, the weather is brisk and it’s almost gone – winter is on its way. 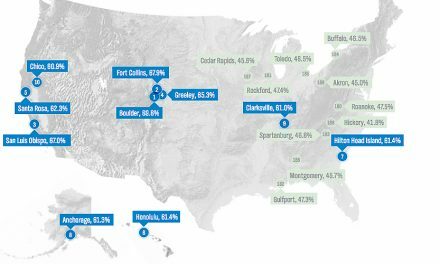 With snow falling in some areas of the country, colder weather and other extreme winter weather conditions will make it necessary to keep warm and well-insulated. And that’s where a good pair of boots are your “it” accessory. They come in all shapes and styles. Consider some of our favorites for the season ahead. 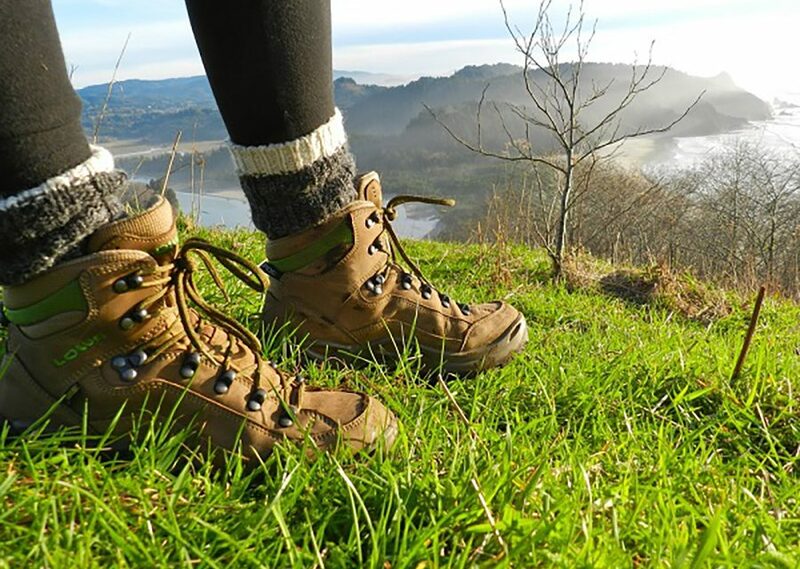 Taking to the trails in the Oboz Sawtooth Mid BDry Hiking Boot ticks off all the boxes – mid-height hiking boot, lightweight, waterproof construction, BDry waterproof breathable lining, dual-density EVA midsole and rubber outsole – great for light hiking on varied terrain in varied conditions. And when you buy a pair of Oboz, the brand plants One More Tree in partnership with Trees for the Future – creating sustainable resources for communities in Africa. Donate here. 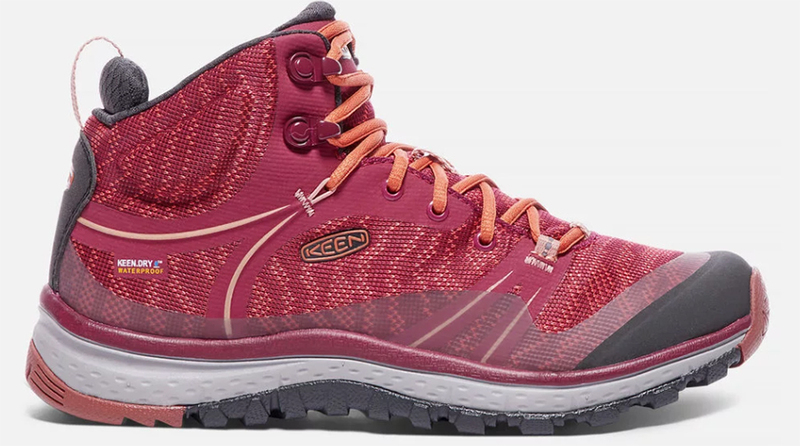 Designed specifically for women, the Keen Terradora Mid Waterproof lightweight hiking boot doubles as an around-town trekker. With Keen.Dry waterproof breathable membrane, a glove-like fit and cushioned ankle panel to take pressure off the achilles, the shoe delivers flexible freedom for all-day comfort on the trail. 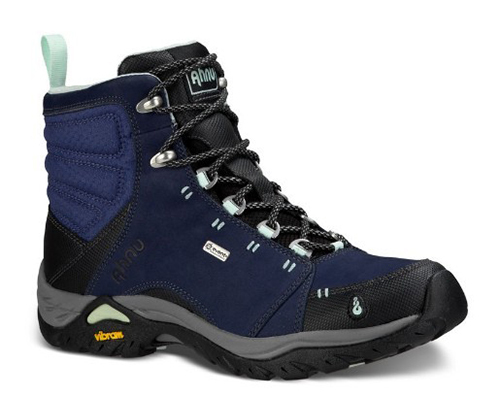 Lowa’s bestselling waterproof/breathable boot, the Lowa Renegade GTX Mid, has won many accolades for bringing trekking comfort fit to a multifunction construction using injected PU technology, Monowrap frame construction for stability and underfoot comfort. Full length stabilizer and Vibram Evo sole for sure-footed traction. 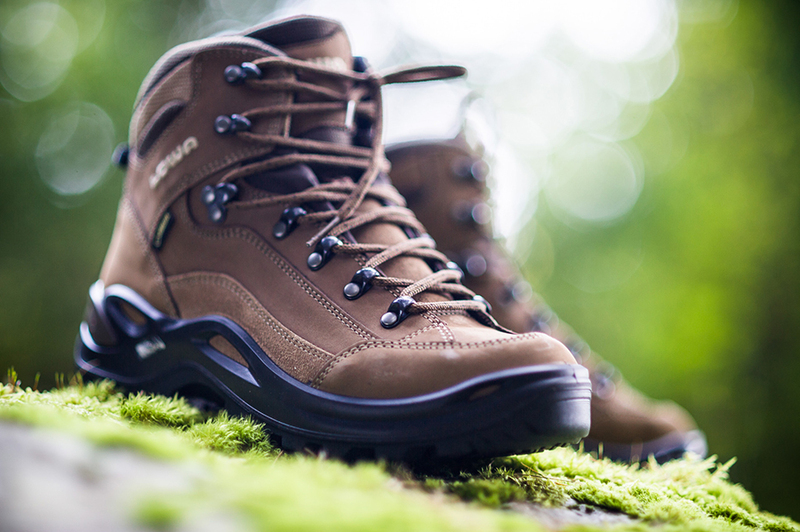 The Ahnu Montara Mid is comfortable, durable, all-around hiking boot. 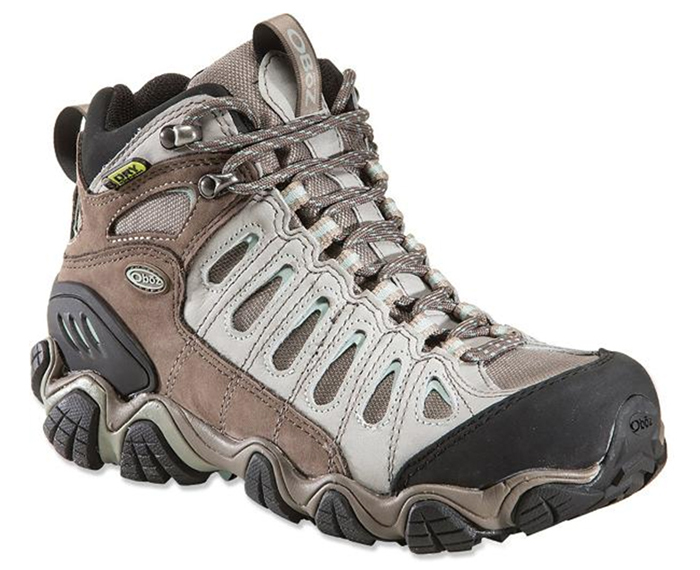 The mid-cut design provides ankle stability and will keep your feet dry even when trudging through deep water. The Vibram outsole grips rock surfaces with ease. 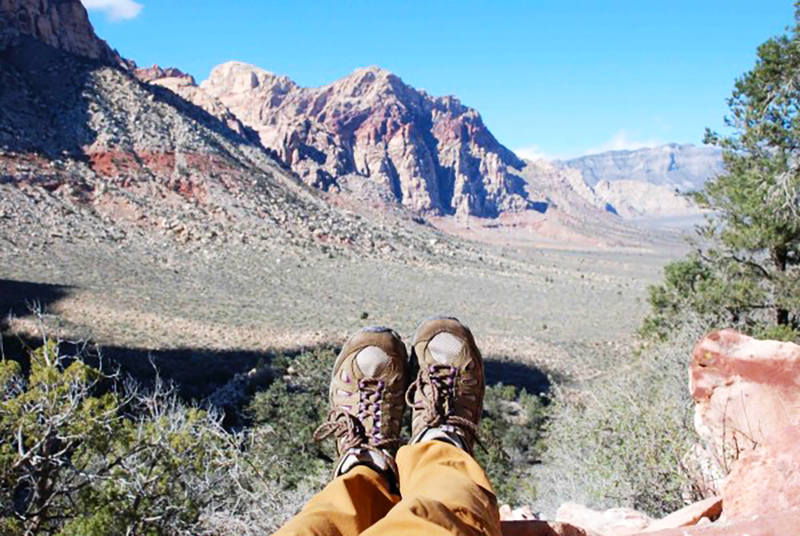 At the end of the day, the Ahnu Montaras is both stylish and a great all-around hiking boot for a walk on the trail or challenging terrain. 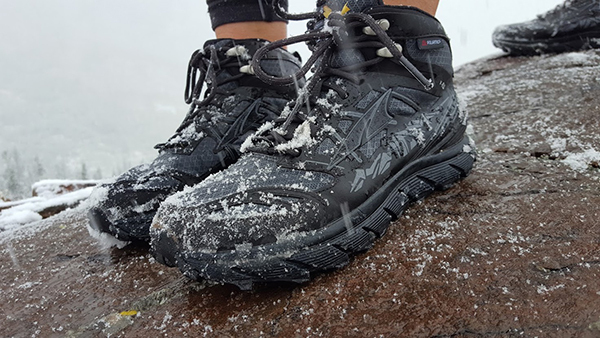 Great for fall into winter hiking and running because it is waterproof, you can’t go wrong when you tie on a pair of Altra Lone Peak 3.0 NeoShell Mid Boots (pictured above). And if you fall in love with the Lone Peak Mid NeoShell, you will be happy to see it in an all-new mesh version. 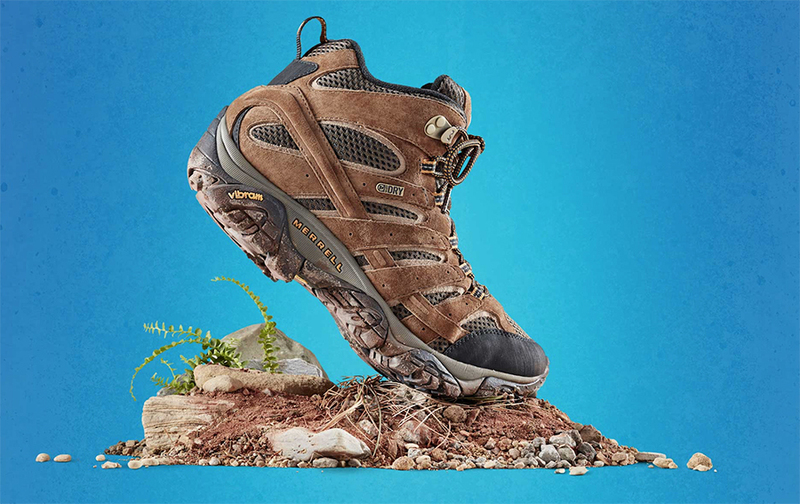 The Lone Peak Mid 3.5 Mesh, (pictured below), which features a 4-point GaiterTrap to keep dirt, dust, sand and debris out, as well as a durable, yet lightweight mesh upper. 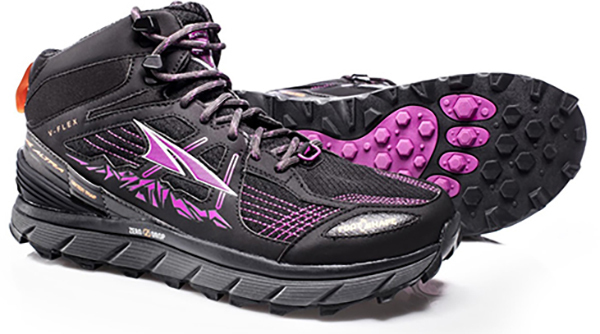 The enhanced breathability of a mesh hiker with the same comfort and Fit4Her design as before, and with Altra’s signature FootShape toe box and fully cushioned zero Drop platform you can hike naturally and balanced.